The refrigerator will be empty soon! My car will be out of gas soon! The bread I made will soon be done baking. Wait for me just a moment, I will be done eating soon. The money in my purse will soon be gone. Will you be done sewing that dress soon? Don’t get mad, I’ll be there soon! I waited for you so long, I’m even about to fall asleep! Come right away to sit down, the movie will start soon. They will soon finish running the marathon. At last, you will soon be done writing your book. 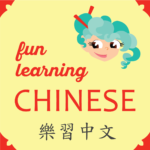 How soon will you practice Chinese again? ❶ The 有 here in this sentence is optional. It means the same thing without it. ❷ As you saw in the vocabulary list, the full word for gasoline is 汽油, but in this context the short cut makes perfect sense and is easily understood. ❸ I find this word 電池 ㄉㄧㄢˋ ㄔˊparticularly fun, since it literally means “electricity pool.” 電 means electricity; and 池 means pool, the same character used for 游泳池 ㄧㄡˊ ㄧㄨㄥˇ ㄔˊ which is simply swimming pool or 池塘 ㄔˊ ㄊㄤˊ for pond, as you might find frogs in. 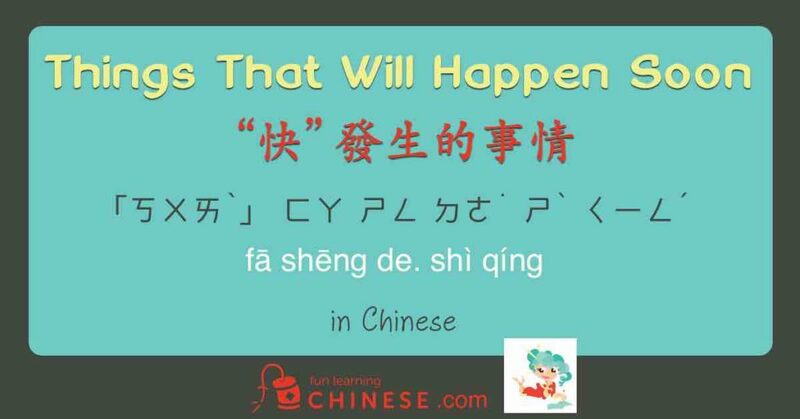 ❹ You will see that 了 is used in these types of sentences, since they are usually said with emphasis. ❼ A quirk of the Chinese language is that the exact same character花 can mean either flower or to spend. It should be pretty obvious in context which it means. I remember 光 from the word for bare feet, which is 光腳丫 ㄍㄨㄤ ㄐㄧㄠˇ ㄧㄚ. Apparently the literal meanings for 光 of light, brilliant, or only lend it to meaning naked or bare, as in being totally exposed to the light. Thus in 花光, the money has been spent until the purse is bare naked. ❽ As usual, the adjective marker comes after all of the adjectives preceding the noun. So, the 妳 is translated as your because the 的 makes it a possessive pronoun.